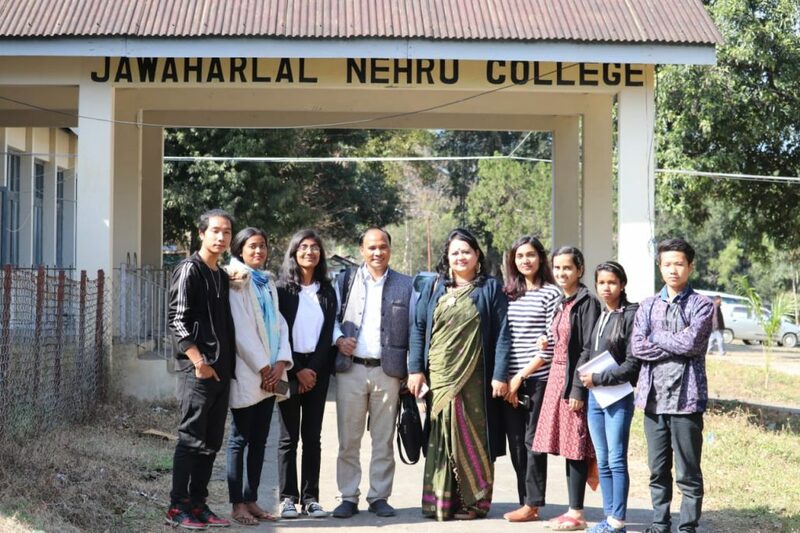 A four-week long entrepreneurship development programme is underway at the premier institute of Arunachal Pradesh, Jawaharlal Nehru College at Pasighat. The programme, an initiative to impart entrepreneurship skills among the unemployed youths of the region is being organized in association with the Indian Institute of Entrepreneurship, Guwahati under the department of Science and Technology project, informed, Dr T Payum, programme coordinator. This skill development programme was started on January 23 last. Vice principal of the college, Dr S D Chaudhury advised the trainees to do something new, something creative while inaugurating the programme. While attending as guest of honour, T Megu, assistant director, Industries, Pasighat briefed about the various schemes and benefits available for entrepreneurs. 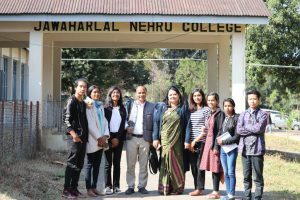 Retired group captain and owner of Elam Industries, Pasighat, M Panging took a session on the entrepreneurship scope in Arunachal Pradesh and ignited the trainees to be an entrepreneur. While Ainy Taloh, an eminent social entrepreneur on voluntary blood donation came as a motivator in the training programme and advised the trainees to be confident and sincere as this is the key factor of an entrepreneur. O Sitang, the president of Adi Bane Kebang, who is also an entrepreneur on mushroom in Pasighat town said that if she can earn for herself as well as curved out an alternative livelihood to the village women why the youth can’t grow mushroom instead of running from pillar to post for government job. Bamboo queen of India, Neera Sarmah from Tezpur in Assam trained the participants on how to make eco friendly, attractive, low cost and profitable jewelry items from bamboo which is abundantly available in the region. Prof Dr B N Hazarika, Dean of Central Agricultural University, Pasighat and College of Horticulture and Forestry, Pasighat mesmerized the trainees as a resource person on the scope of entrepreneurship on proper utilization of fruits available in Arunachal Pradesh. Dr S D Chaudhury took a session on soft skill tips for the trainees. P Baruah from Guwahati took a session on craft making, while Ratul Das of IIE, Guwahati took a class on the important elements of an entrepreneur. Sanjiv Das taught the schemes and opportunities on MSME while Pranjal Goswami, the owner of bamboo shoot pickle company based at Guwahati took sessions on the various aspects of pickle-making based on locally available ingredients. Other resource person Dr D P Panda took a session on book keeping practices to maintain profit and loss of a business. In this training programme, the trainees are going through market survey at Pasighat market, field visit to Elam Industries and Mushroom Cultivation centre of O Sitang of Mirsam Villege, Pasighat in the remaining training period. In the programme, a group of 30 selected unemployed youth trainees are taking part. According to Dr T Payum, Assistant Professor, J N College, Pasighat who is coordinating the programme, this training programme is a festival of creative minds and personalities.